Take a little piece of Disney Princess magic everywhere! Stylized just like a miniature Pop! Vinyl Figure, Rapunzel looks adorable. 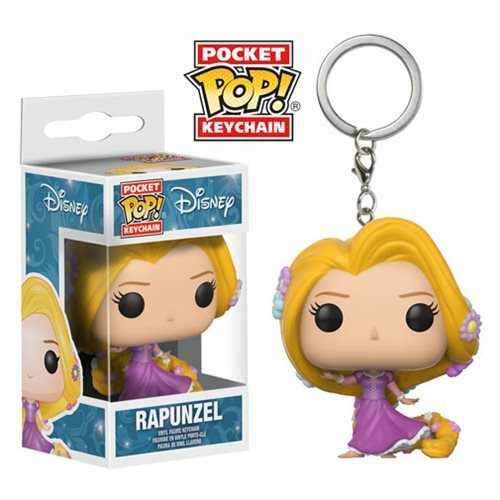 This Tangled Rapunzel Pocket Pop! Key Chain measures approximately 1 1/2-inches tall and comes packaged in a window display box. Ages 3 and up.